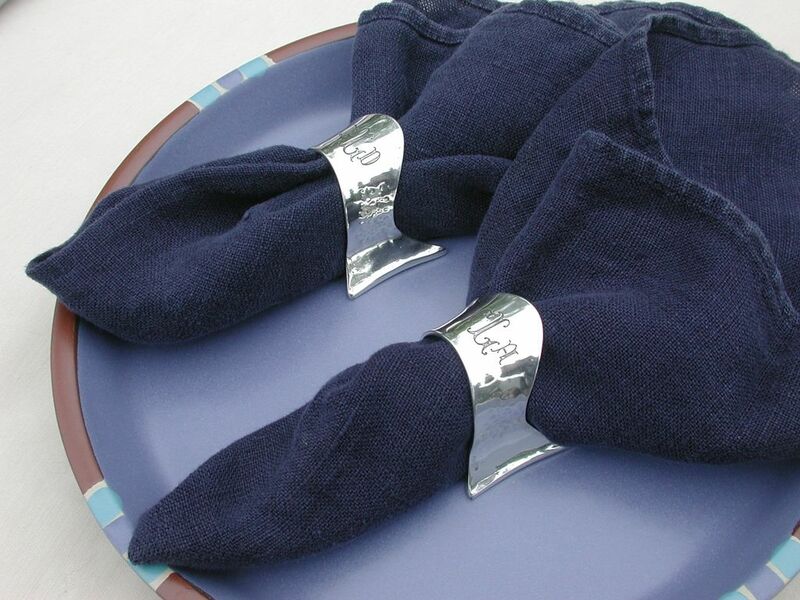 The photo shows napkin rings with available hand engraving to personalize these as heirlooms. These are an original design, lost wax cast and hand finished. we sell these in pairs ,by order. Available in 4-6 weeks, market pricing, call for quote.